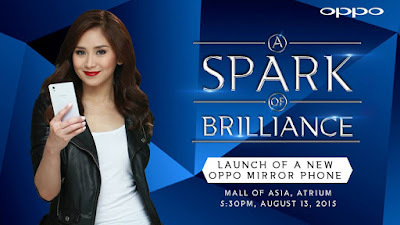 The Popstar Royalty Sarah Geronimo, is the first celebrity endorser of Oppo Philippines. For almost two weeks now, she has been the face Oppo, evident on the brand's official social media accounts like Facebook, Instagram and more. Today is the day that all Popsters (that includes me) have been waiting for, because Oppo will introduce the royalty to the public for the first time as their celebrity endorser. 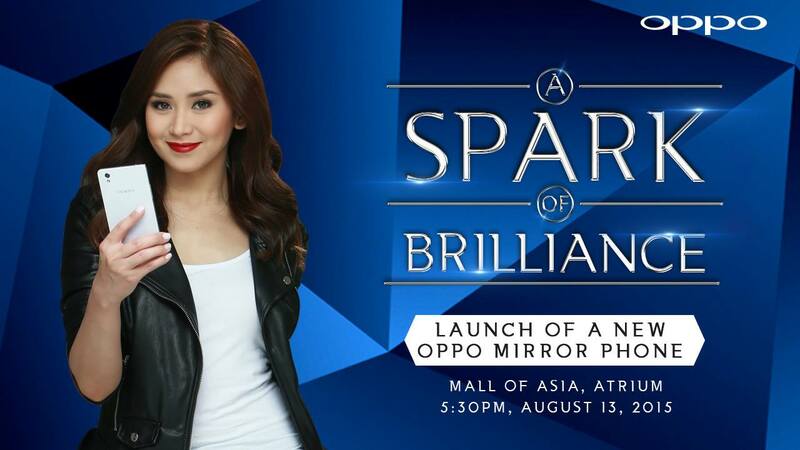 The event titled "A Spark Of Brilliance", so expect it to be a more exciting event and I think Sarah G. will be performing (hoping). I am once again lucky to watch a performance level that only a Popstar Royalty can deliver on stage. Moreover Oppo Philippines will also unveil the newest and quality phone they have to date. The phone that definitely have that "Spark of Brilliance", an Oppo Mirror phone that will reflect elegance and class. See you all at SM Mall of Asia okay :). Follow me on Twitter and Instagram for more updates, because I will covering the said event and if time permits I might be having a livestreaming :).